Health and Fitness Den: Comparing Drive Medical Scout versus Bobcat Power Mobility Scooters, What's the Difference? 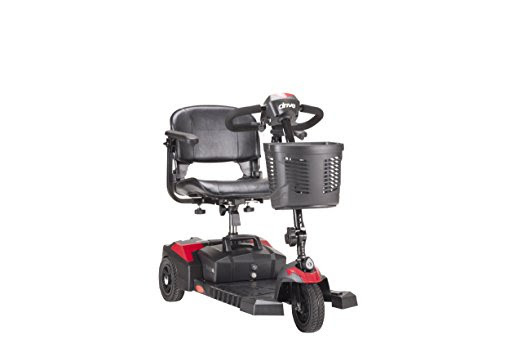 The low-priced Drive Medical Scout and Bobcat Power Mobility Scooters combine comfort and performance in a compact scooter that’s easy to disassemble for transporting in a vehicle so you can take them with you wherever you need to go. The Drive Medical Scout and Bobcat Mobility Scooters are both available in a 4 wheel or 3 wheel version and are suitable for indoor and outdoor use. 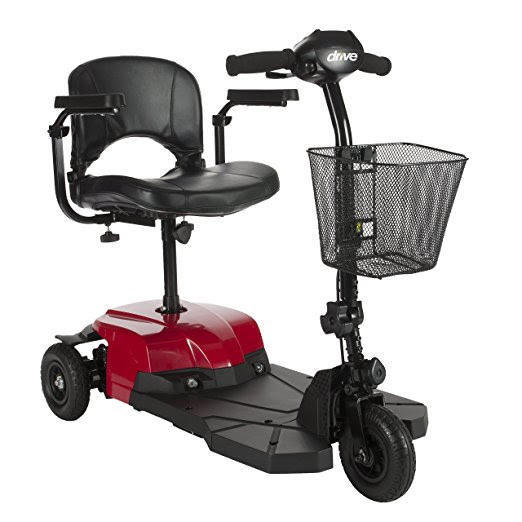 Both the Drive Medical Scout and Bobcat Mobility Scooters are straightforward and easy to use. 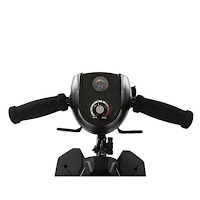 They offer simple variable throttle control and electromagnetic brakes whereby you simply release the throttle to come to a stop. The steering handle differs between the two scooters, with the Bobcat having standard handles whereas the Scout has a delta-shaped wrap-around steering handle that makes it easier to drive even with limited dexterity. 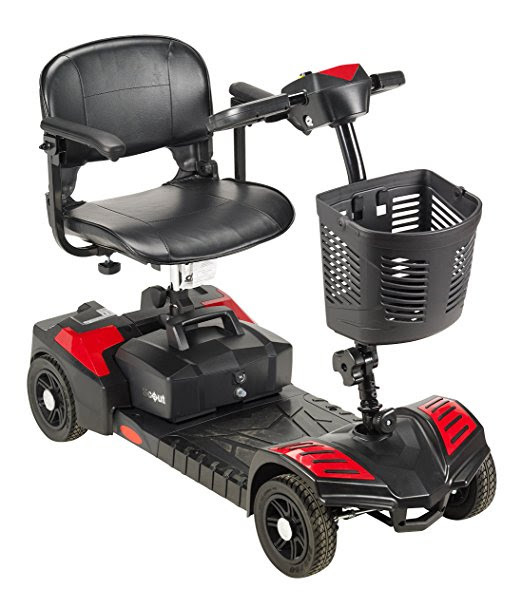 Comfort features on both the Scout and Bobcat scooters include a height-adjustable padded seat with backrest, adjustable padded armrests (width/angle/flip-up), and an angle-adjustable tiller for easy reach of the controls. 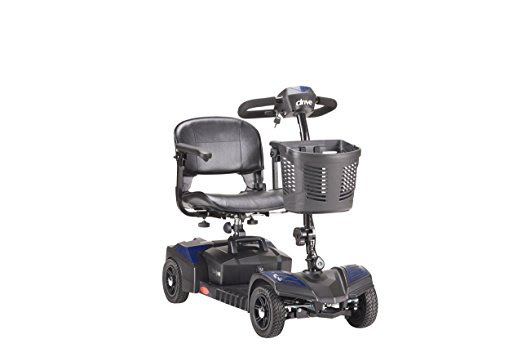 The Drive Medical Scout has the advantage of a swivel seat (lockable at 45 degree intervals) which makes it easier to get on and off. The Bobcat’s seat does NOT swivel but both scooters have flip-up armrests to provide easy access to the seat. Both the Drive Medical Scout and Bobcat Mobility Scooters feature 8x2” non-marking, flat-free and anti-tip wheels. 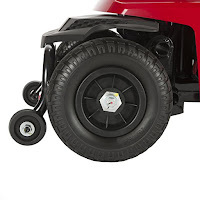 The 3-wheel scooters offer a tighter turning radius (around 45”) over the 4-wheel models (around 53”), making them better for using in smaller spaces. All the scooters allow for a 2.5” ground clearance and 6 degree climbing angle and can be operated in forward and reverse motion and also offer freewheel capability. Additional features on both the Drive Medical Scout and Bobcat scooters include a 1.5A Offboard charger, battery gauge, speed dial, ignition key, front carry basket. 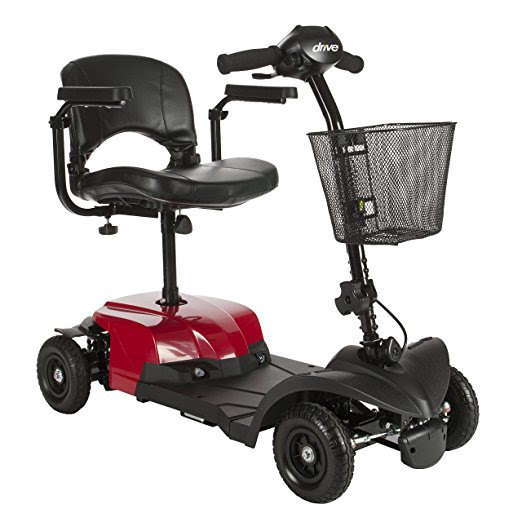 Both the Drive Medical Scout and Bobcat Mobility Scooters are well constructed and offer great value for money. It’s important to take a close look at the differences highlighted in the tables above to determine which scooter would be best for your needs. 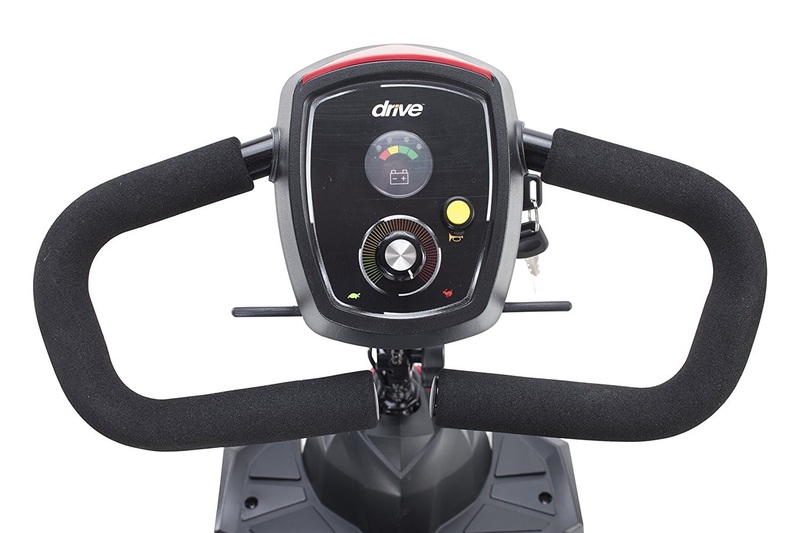 For the relatively small extra price, the Drive Medical Scout has some premium features that are well worth the money and add to the scooter’s ease of use, i.e. the swivel seat and delta-shaped steering handle. It also has a slightly better range to help you go that little bit further if you need it. If you don’t need the premium features of the Drive Medical Scout, then the Bobcat is still a good buy and will save you some hard-earned $$s!